“The best” is such a subjective term, and yet that’s always what people are asking after. The best hamburger. The best pizza. The best cocktails. The best steak. And, if you’re reading this, I assume you’re looking for “the best” sushi. Congratulations. You found it. Or, at least, you found one subjective measure of “the best” when you began looking at Yuzo Sushi Tapas. 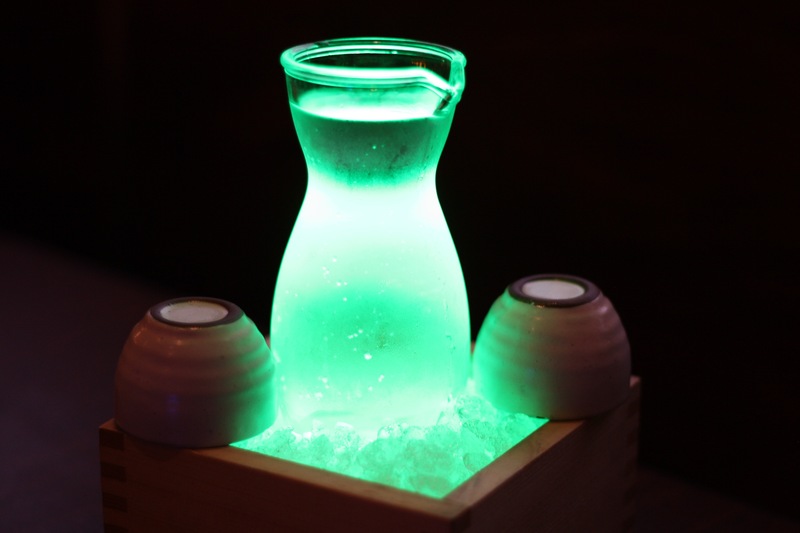 A glowing bottle of sake. Don't be afraid. Owner Tomi Le and head chef Yuzo Toyama have created in Automobile Alley one of my favorite places for raw fish in the city. 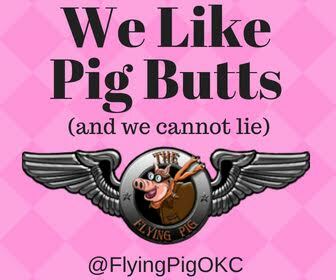 And it’s not as if this is 1980s Oklahoma City, when sushi was still just a whisper on the wind, spoken of in the same breath as ninjas and kimonos and other clearly fictional ideas. Modern-day OKC is flush with fish. My sushi hierarchy goes from fancy night out sushi all the way down to utility sushi. None of it is bad, mind you, but utility sushi is the bare minimum of what’s acceptable. At the top of the heap is Yuzo. Well, wounded animal, you are likely to die soon. The elements are against you and all matter in the universe tends toward chaos and disorder. Not only is your end nigh, but the darkness comes for us all, and sooner than you think. Also, yeah, I like Tokyo and Sushi Neko and Tsubaki and Saii and The Sushi Bar. They’re great. I would gladly dine with any of them. But if you’re asking who I think does it best, it’s Yuzo. It’s not just me, either. Yuzo also thinks Yuzo is the best. Granted, he’s kind of biased, but he makes a pretty good argument. The restaurant gets fish delivered about 48 hours after it’s caught in Japan. 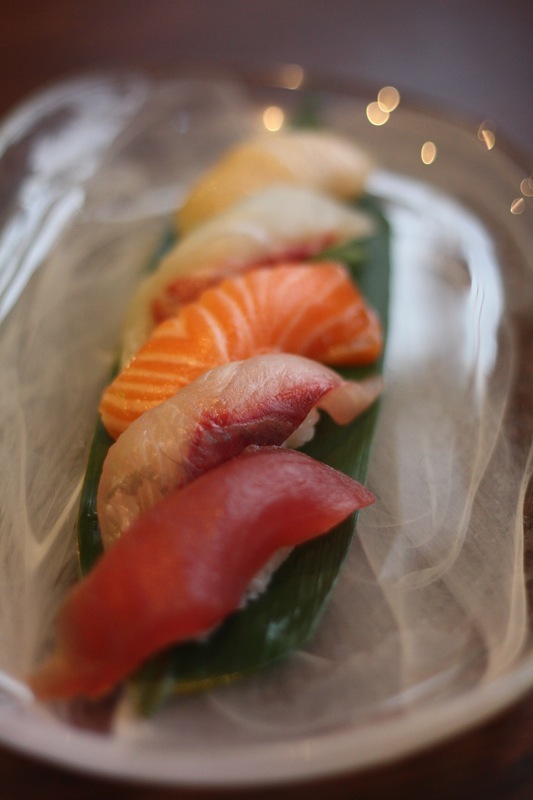 Yes, eating at Yuzo means you’re eating the same kind of sushi they’re eating in the place that invented sushi. Fish is delivered three times a week. Chefs are schooled in how to butcher the whole fish, including how to slice it to make each piece tender. Yuzo uses a higher grade daiginjo soy sauce, made with polished soy beans. It is also objectively beautiful. There’s a big U-shaped bar with plenty of spots right by the sushi chefs. There are also tables and some deeeeeeep booths that are perfect places to get some privacy no matter how busy the restaurant gets. After about a year in business, Yuzo is about to redo its menu, adding more entrees, some larger dishes, steamed buns and more prominently showing off its selection of sake and Japanese whiskey. This is why you’re here. This is why we’re all here. Because the dining room looks lovely. Tomi and Yuzo are nice guys. It blows my mind how quickly the fish gets here. But it’s the tastes and textures that captured my heart and continue to bring me back every time I have enough money to eat at Yuzo. It’s not that the restaurant is particularly expensive, if you’re smart. But I am not smart. I am greedy. And every time I go in there, Tomi or Yuzo tells me about something I need to try and I’ll be damned if it isn’t so amazing that I desperately want to get it again next time. See, the problem is, my list of “musts” at Yuzo has gotten prohibitively long. My all-time favorite dish is hamachi ajillo ($14) and I’m fairly certain it’ll be your favorite, too. That’s because hamachi is yellowtail, a fish that is so tender it’s known as Nature’s Morrissey. Here’s what you get: A long dish filled with ponzu sauce. Floating on the sauce are perfectly portioned slices of yellowtail. On those are thin slices of cucumber, topped with tiny piled of diced, fried garlic and thin slices of jalapeno with a bit of cilantro. Take your chopsticks and pick up a slice by both ends, holding all the toppings in and gently lower it into your mouth. I promise you, it’ll be an all-out war for the rest of that plate. I’m also quite besotted with the tuna carpaccio ($13), which is served similarly, but with fried capers and pico de gallo on slices of tuna. Tart and spicy with the cool fish just waiting to melt against your teeth — it’s unbelievably good. Last time I was in, I tried black mussels in chili cream paitan ($13) and now I have to get this, too. 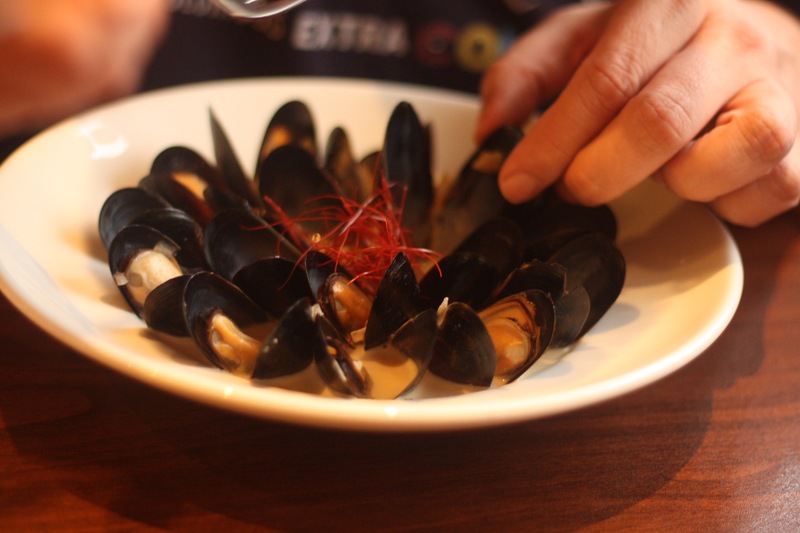 Those mussels are cooked so perfectly, with just a bit of chew, and the spicy paitan broth is infused in every bite. I’m not even sure what mussels are. Can they move? Do they have a society? AM I EATING A SENTIENT BEING CAPABLE OF CREATING ITS OWN VERSION OF STAR TREK? I hope not, because I’m not about to stop eating these stupid, delicious little geniuses. A moment, if you will, while we discuss sushi rolls. Okay, look, they’re not all dumb. It’s just that sushi rolls have become the end-all-be-all for most people and most of them are just barely sushi. How much cream cheese, crispy bits and bacon do you really need to enjoy fish? I like a few rolls, but I would gladly forgo them just to get nigiri at Yuzo. 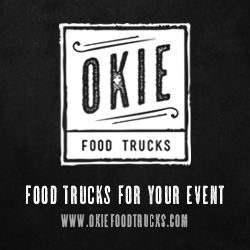 The best bet is the chef’s choice or “omakase” ($13). Yuzo walked me through the fish and I found a new appreciation for these not-so-simple delicacies. You’ve had tuna and salmon, but what about Japanese amberjack, which is similar to hamachi but a bit firmer and a little sweeter? Or maybe scallop, which is so soft on the tongue I half think that nigiri was making out with me. 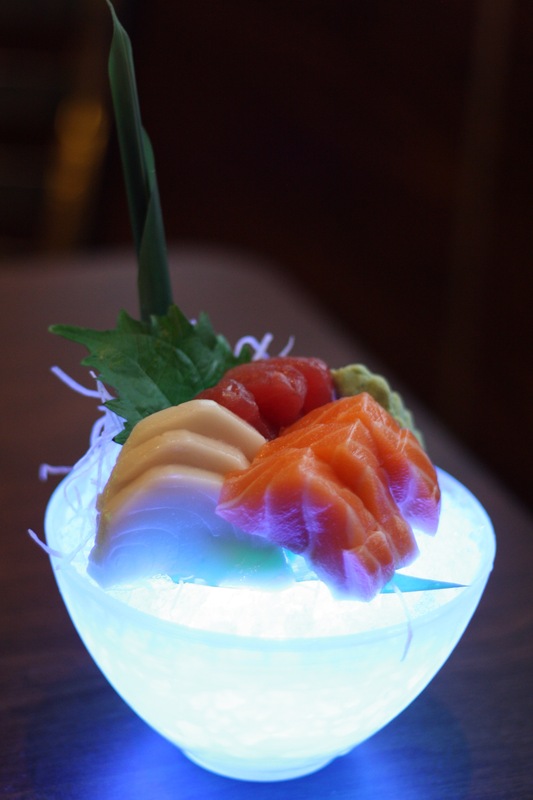 Learn about the fish and you will enjoy sushi on a deeper level. That’s why I recommend sitting at the bar and talking to the chefs. This is knowledge they will gladly impart. One other thing about Yuzo’s nigiri — it’s big. Bigger than you’re used to. It’s not so large you can’t fit it in your mouth, but the ratio is more fish than rice, and that’s a difference you’re bound to enjoy. If you are going to get a roll, try the Wabi ($15) — a jazzed up version of deep-fried salmon rolls that has a very satisfying outer crunch — and the Viet Summer ($16), which is packed to the gills (ha) with salmon, tuna, escolar, crab, greens, mango and wrapped in sticky rice paper. It’s a great value. Speaking of value, the poke bowl ($14) is almost too much food. 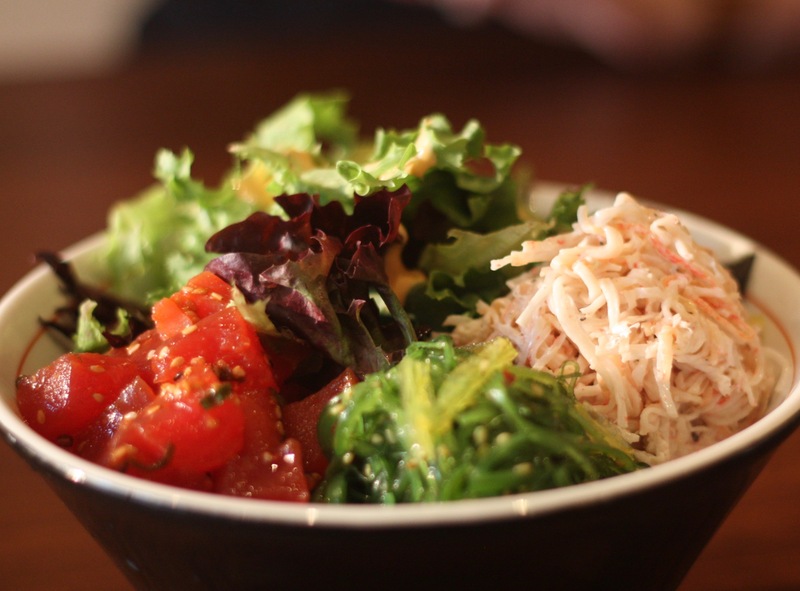 There’s a heap of sushi rice and on top of it is shredded crab, chopped spicy tuna, greens, seaweed salad, avocado and more. Though it’s currently a lunch item, it will become an all-day item on the next menu. Poke bowl. Not to be confused with a pokeball. Oh, and how about ramen? Yes, I know, there’s a lot of ramen in Oklahoma City right now with Goro and Tamashii, but don’t sleep on Yuzo’s garlic tonkatsu ramen ($12). That gorgeous pork broth with tender slices of pork belly is impossible to skip. The black garlic gives it a boost of flavor without going overboard into an unpleasant sharpness. Plus, you know, noodles. Lots of noodles. 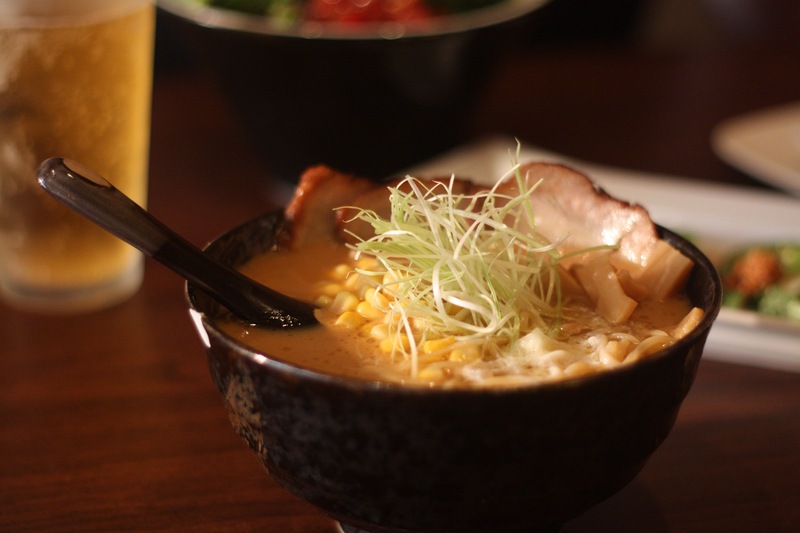 I also tried the buttered corn ramen and, while I prefer the garlic tonkatsu, this is a legit delicious dish for anyone looking to change things up. Buttered corn has a great balance of sweet and savory and the crunch of the kernels is magical. There are also a ton of martinis (I’m keen on the spicy pear) and sake choices as well, you inveterate booze hounds. The restaurant does sushi right and so, so, so much more. Yuzo himself has more than 20 years experience slicing and serving fish. And with his name on the sign, he’s dead set on making sure you have the finest sushi experience of your life in his shop.